It’s no secret SculptHouse‘s one-of-a-kind workouts and carefully-curated activewear boutique has made quite an impact on the Atlanta fitness scene. After opening its flagship location in Buckhead, followed by a second in Nashville, the studio set up a third space in the new Sandy Springs City Center in November. So if you haven’t already, it’s definitely time to check out what the SculptSquad is all about. SculptHouse was the first studio in the world to combine the Megaformer and Woodway Curve treadmill, and just a warning: the unique combo is not only extremely effective but also quite addictive. SculptHouse’s signature CardioSculpt class combines 25 minutes of toning, stretching, and sculpting on the Megaformer (think spiced-up Pilates) utilizing the Lagree Method and 25 minutes of heart-pumping cardio intervals on the Woodway Curve. Not only will the Megaformer have your core burning and legs shaking, it will definitely awaken muscles you didn’t even realize existed! Luckily, the SculptHouse trainers know their stuff and understand what each exercise is asking of your body. They will instruct you through each move and assist with modifications and adjustments as needed. While on the Woodway Curve, clients are guided by TVs through sweat-inducing cardio intervals consisting of different levels of exertion, with the notorious level 4 being your all-out hardest push. Feeling a little intimidated? Wondering what the heck those two machines are? Not to worry. 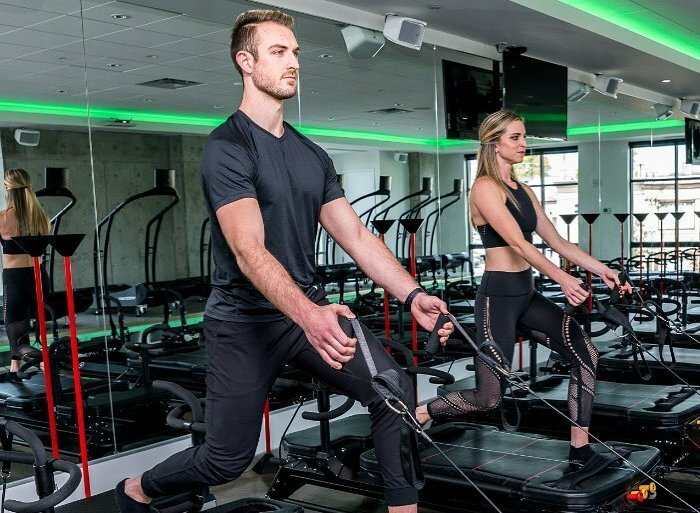 With Sandy Springs being SculptHouse’s third location, the studio is well aware first-timers may be a little hesitant and have some questions. Which is why you’ll receive a full machine overview from their trainer before the start of the class, so make sure to get there early! Fitt Tip: sticky socks are required for the Megaformer, so if you don’t already own a pair, plan to purchase them when you arrive. Feelin’ the brand? SculptHouse not only delivers awesome full-body sweat sessions, but it sets itself apart from other boutique fitness studios with an activewear boutique full of unique designers and styles to up your workout wardrobe. While the Sandy Springs location has a smaller in-studio selection than Buckhead, you can still find all the latest trendy leggings, sports bras, and shoes (including men!) on the boutique website. Regardless of your fitness level or personal style, it’s time for you to take a trip to The House. 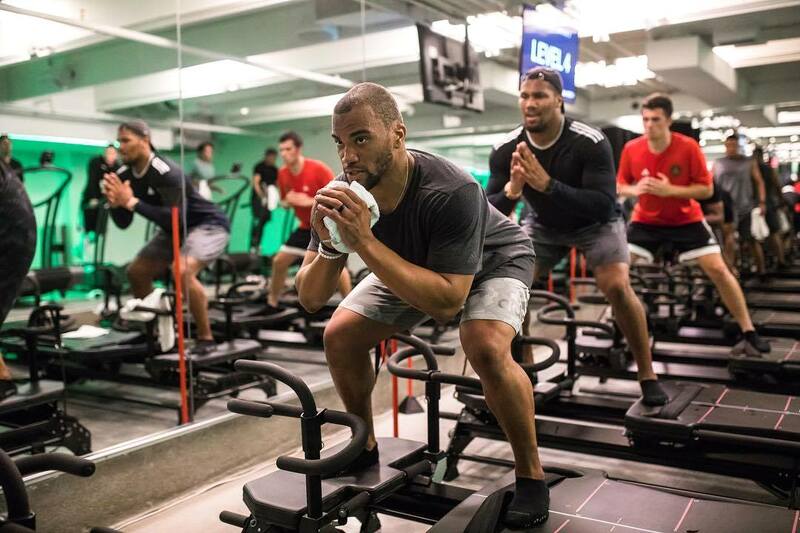 This studio offers an experience unlike anything else — trainers leading and motivating you throughout the entire class, a sound system blasting the hottest music to keep you energized, and an atmosphere to keep you in the zone. And you’ll need to be when it’s time for level 4!